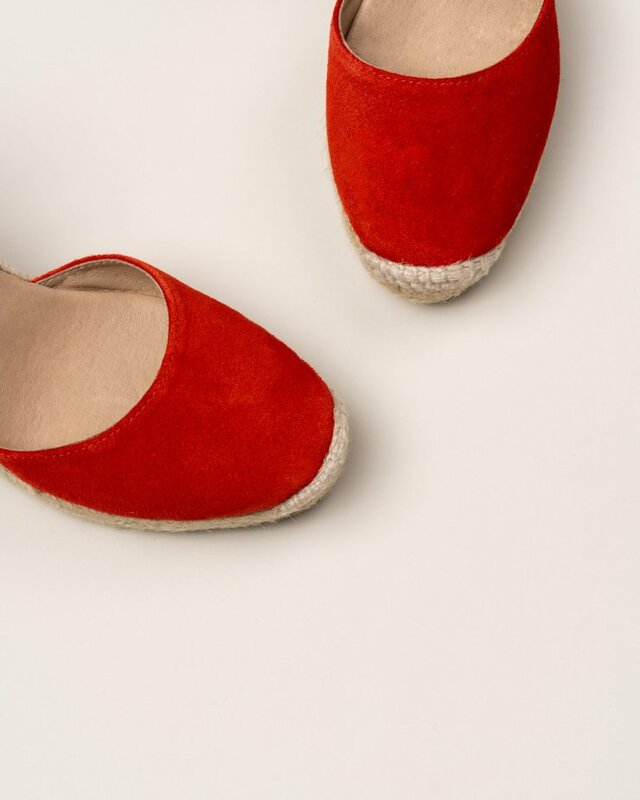 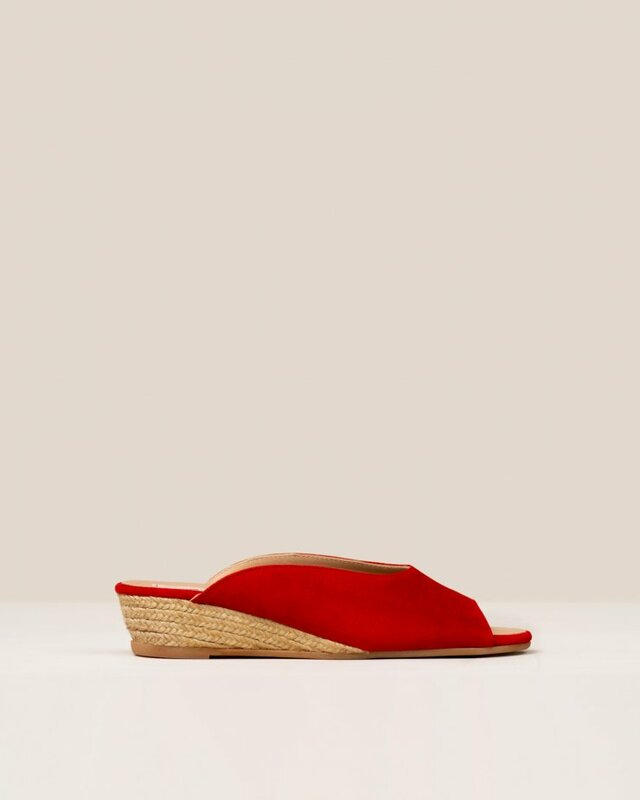 Red suede espadrilles. Sandals with elastic ribbon at the back. 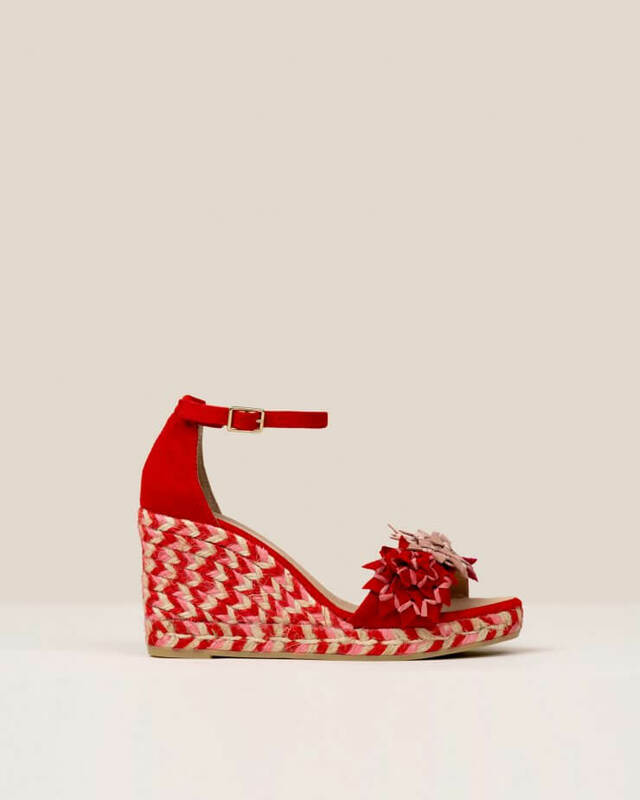 Multi-coloured medium jute wedge.